This simple but attractive ring is set in a band of 9ct white gold. 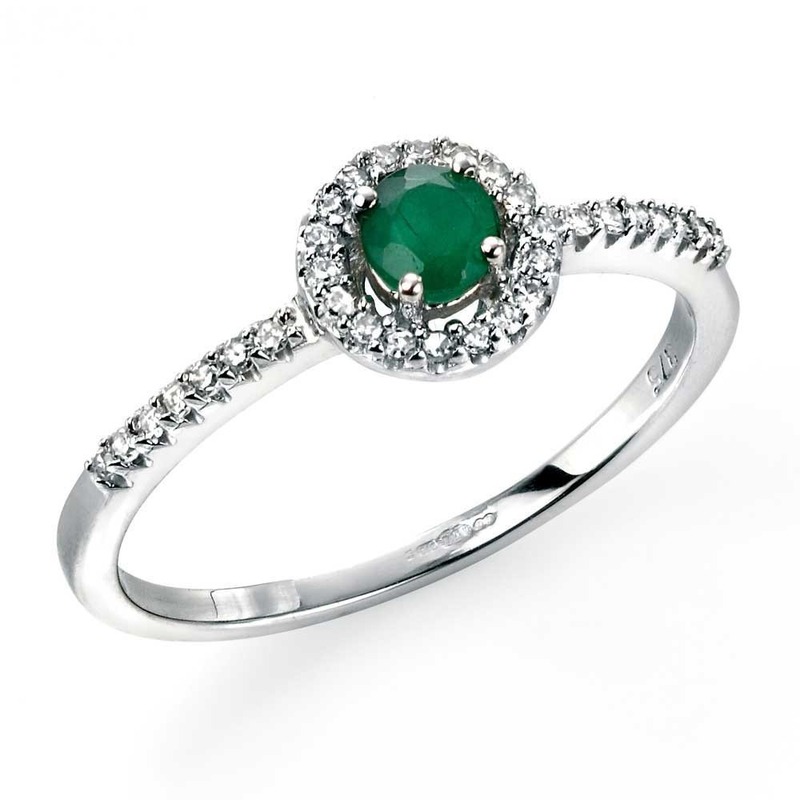 The pretty Emerald stone is surrounded by sparkling diamond halo with a diamond shoulders setting. Sparkle in style with these glorious ring perfect for any occasion. - Diamond and Emerald Stones.